Email messages are great. But there are certain business situations when it is better to talk on the phone than send an email. Auditory neuroscientist Seth Horowitz explains that our brain’s circuitry that interprets our hearing has evolved over 400 million years. We’re hard-wired for conversations, and “we’ve evolved to listen to other people talk,” he said. Instead of defaulting to an email, making a conscious choice about the way that you communicate means that you can leverage the communication methods advantages. Need help deciphering when you should pick up the phone? Here are the six situations when a phone conversation is better than an email. Emails are notoriously poor at conveying a writer’s tone and context. Even when you’re careful, the email messages that you send are full of possibilities for misinterpretation. In contrast, the back and forth dialogue of a phone conversation gives you the opportunity to communicate beyond your words. The tone and rhythm of your voice indicate both meaning and emotion. The McKinsey Global Institute reports that the average worker spends 28 percent of their workweek reading and answering emails. And whether you pursue the elusive “Inbox Zero” or you’re an “email hoarder,” managing your inbox takes time. We don’t recommend that you opt for a phone call for every single item that you need to communicate. Instead, be strategic in using phone calls for urgent or time-sensitive matters. In these high-priority situations, choosing a phone call means that your message won’t be lumped together with the rest of an email queue. If your work project is in that crucial brainstorming and ideation phase, you might not yet have the clarity around your ideas to put them into an email. That’s a perfect time to jump into a phone call and talk it through. Phone calls give you much more leeway for the type of exploratory idea building that generates good results. Want to bring several coworkers in on the conversation? 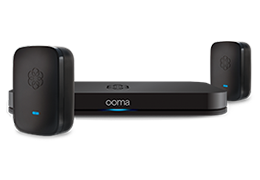 Ooma Office offers both three-way calling and conference calls. Whether it’s a networking conversation or a personal catch-up chat, phone calls are a way to build better rapport. Sure, you could catch up by email, but a phone conversation adds layers of information in an interactive dialogue. Camaraderie is deeply tied to the transfer of emotions, and phone conversations can do a much better job of that than emails. Volleying emails back and forth on an issue is not very efficient. Instead of spending hours or days to get something resolved via email, it’s possible that a brief conversation can get more accomplished in a shorter amount of time. Whether you’re launching a new business product or planning a party for a coworker, you can replace the seemingly endless email thread of questions and answers with a single telephone conversation. In particular, consider situations where there is ambiguity or when you predict that clarification will be needed. In these cases, real-time communication via telephone can be more effective. When you can lose so much auxiliary information in an email, you can best handle discussion topics that are sensitive, personal, or potentially negative in a conversation. Think about this as situations where you don’t want to get it wrong; for example, a poor performance review, an illness, or a death. The Harvard Business Review said: “Research from NYU has shown that many people are overconfident in their ability to accurately relay emotions when it comes to email.” So even if you think that you won’t make the mistake of an email faux pas, maybe you should think again. Want your phone conversations to have an unprecedented level of audio quality? 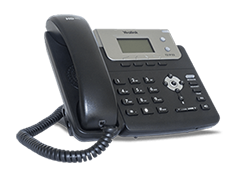 Learn about Ooma Office business phone’s advanced calling features to see why PC Magazine has named us the #1 VoIP phone service for the past six years.